God’s own country has to offer you a lot. Come and live with mystique mountains at the backdrop, fresh greenery surrounding the sloping beaches that merges with the serene waters. It houses the tourist places in Kerala which are some of the beautiful destinations of the world that will leave you speechless and will make your experience a mesmerising one. 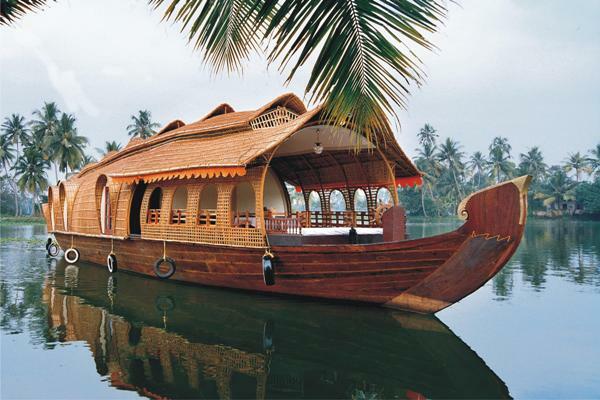 One of the ultimate experience in Kerala is spending some time in its houseboats. The houseboat experience has been anchored with the compliment “ultimate” as it gives its tourists one of the many reasons to stay there. These houseboats in Kerala are built up with the facilities of staying there. So, you will have a chance to stay there by floating on the rhythmic backwaters of Kerala.More oftenly these houseboats are used by newly married couples under Kerala honeymoon packages to get marital bliss on these solitary waters.The rooms of the houseboats are designed with all the basic amenities required to thrive there. But if you are planning to get the experience of a five star hotel room then it is beyond your thoughts to get such an experience on water. Since the houseboats remain exposed continuously under the hazards of weather so the image of the houseboats may vary from what you have checked on the internet. But don’t get morosed by this as you will get the houseboats clean and tidy with all the basic amenities. If you find that the houseboats are not clean then you may report it immediately to the crew members. The crew members are very hospitable and they will always help you at your request. You will have to board the houseboats from the jetties of Alleppy. As soon as you step in to the houseboats the crew members will greet you with a cheerful and warm gesture which will make you feel homely. Then they will give you a tour of the rooms inside the houseboats to make you accustomed with all the features there. After keeping your luggage and after refreshing yourself come into the open to have a breath of fresh air and to look around the magical beauty of Kerala. 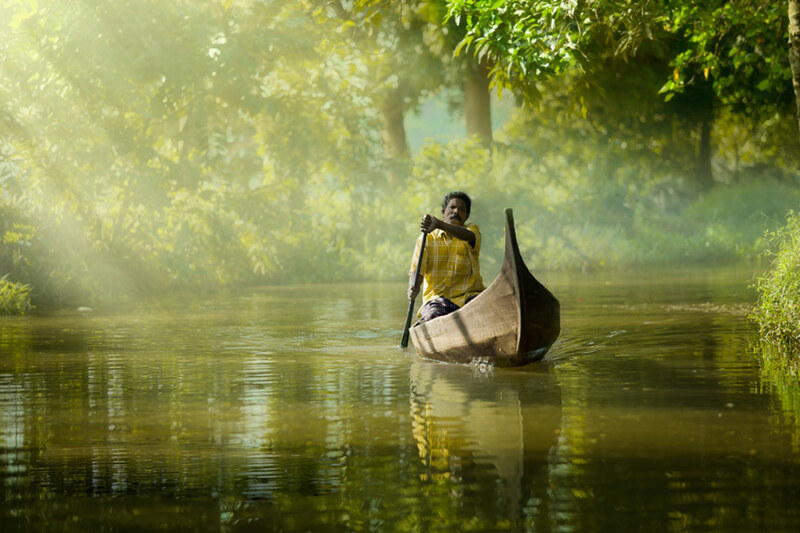 These living boats will cruise you along the canals of Kerala that intertwines each other. From the houseboats you will see other small canoes passing by. Here in Kerala small boys and the natives of the place uses the boats as we use the cycles and bikes. As the houseboat will take you more into the depth of the lake you will get lost in its beauty. It feels royal to spend your days by roaming leisurely and comfortably with the breathtaking views at the backdrop and by getting a delicious different cuisine in front of you. The houseboats will be anchored in front of a shop to get the best food of Kerala. The houseboat will be stopped in the middle of the lake during your lunch. Having lunch in the middle of the lake on a boat is altogether a special experience. It feels that every people around you is treating you specially. To mark you of one thing that these houseboats in Kerala are the main attractions of Kerala tourism. After the lunch is resumed it will again start sailing in its own course. As sun sets, the boat will be anchored near the owner’s house where its television will be connected to the internet of the house and you can enjoy your evening television shows with a little thrusting of the boats to the banks. An early dinner will be served and you will quickly be off to your bed to relax your body. You will get a sound sleep with the cradling of the boat singing lullaby with the rhythmic waters. As dawn spreads a different hue onto the sky and water, you will get awake by the sounds of the village. The rural sound of the villagers doing their daily chores and the laughter of the children having fun will give a rustic experience. You will be served with breakfast from the crew members. 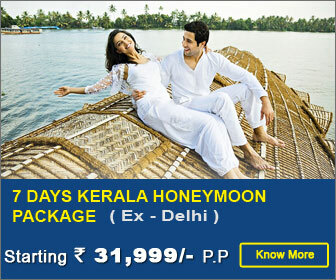 These Kerala tour packages can be of one night or two nights depending on your feasibility. Staying in a hotel is a very common experience but spending your days in a houseboat is a unique experience that you will cherish for your life. Choose the right package for youself and make your holidays beautiful. This entry was posted in Kerala and tagged Kerala Backwaters, Kerala Honeymoon, Kerala Tour on November 13, 2014 by admin. Very nice post!! It seems like a heaven to me. One should visit a Kerala once in a lifetime.